Production starts in September and customers can order Audi’s new GT3 sports car now with delivery starting before the end of the year. Production is limited; if you snooze, you lose! Audi’s new GT3 racecar already proved its prowess in May on clinching overall victory in the 24-hour race at the Nürburgring and two podium places in the Spa 24 Hours in July. 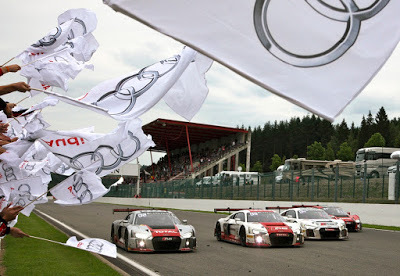 “Due to races like these Audi Sport customer racing has developed the Audi R8 LMS in toughest conditions to the level of readiness for customer use. Concurrently, our engineers successfully completed all tests and trials and determined the final specification,” says Heinz Hollerweger, Managing Director of quattro GmbH. At the Audi site Böllinger Höfe near the Neckarsulm location, the chassis of the production model and the racecars are manufactured at the same facilities. Audi has implemented an extensive concept for carryover parts for this purpose. About half of the parts for the road-going high-performance sports car and the racecar are identical. Effective immediately, customers can order the racecar, which can deliver up to 585 horsepower depending on the regulations, at the price of 359,000 euros (plus VAT). In addition, Audi Sport customer racing offers the car including a starter and parts package for the total price of 398,000 euros (plus VAT). 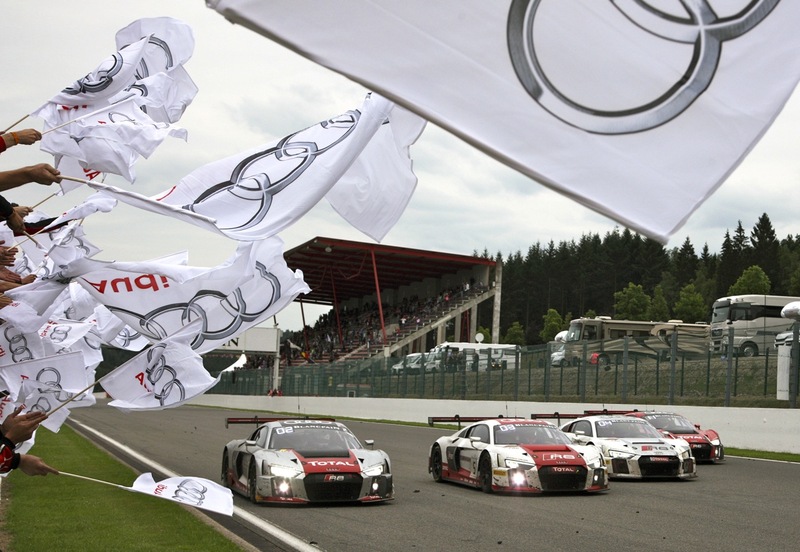 “Since 2009, Audi has been producing GT3 racecars for customers around the world. In the new R8 LMS, we’re again offering our customers an absolutely competitive concept,” says Romolo Liebchen, Head of Audi Sport customer racing. The company built 135 cars of the predecessor models for the markets in Australia, Asia, Europe and America. 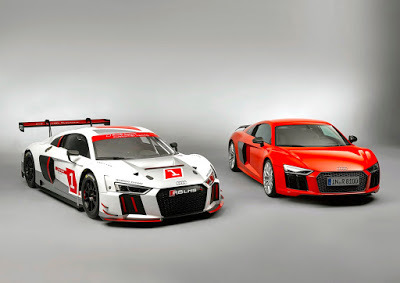 On September 21, production of the new Audi R8 LMS will be launched, with deliveries commencing on October 26. Until the end of March 2016, Audi has scheduled production capacities for 45 GT3 racecars for the coming motorsport season. With that, the brand with the four rings sets the pace: the R8 LMS, as one of the first new models, corresponds to the GT3 regulations that will be in effect from 2016 until at least 2018, and thus sets new standards in terms of safety.